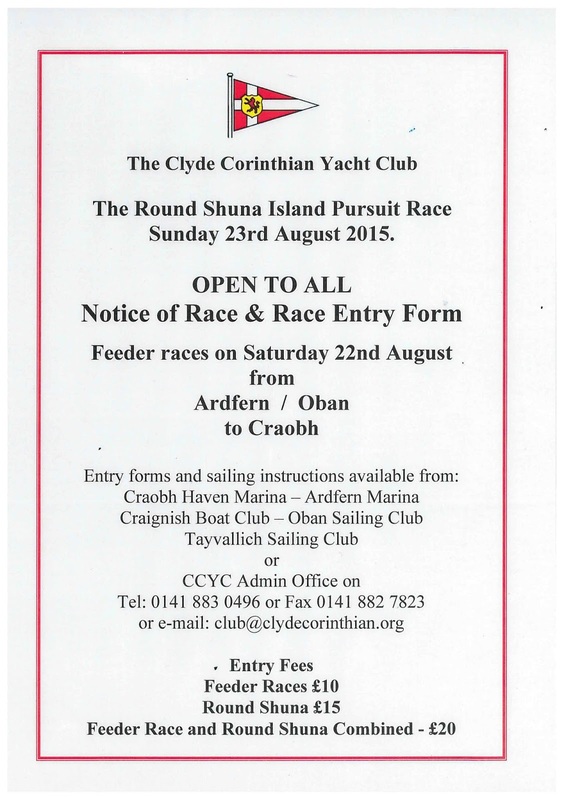 Saturday August 22nd sees the annual Clyde Corinthian Yacht Club Round Shuna Race weekend kick off with the passage races from Ardfern and Oban to Craobh Marina before the Round Shuna Pursuit Race gets underway on Sunday 23rd. Its a fun event with a great family atmosphere and a relaxed attitude, if you have always fancied trying a bit of racing this is an ideal way to dip your toe in the water. 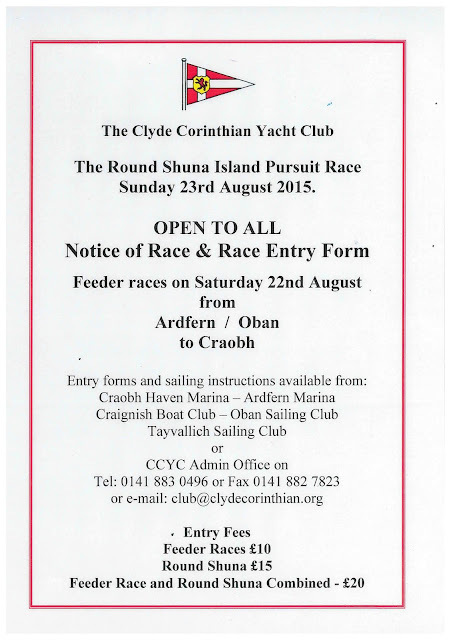 Full race instructions and entry form available for this years event available here.